Driving with a damaged car, truck, or van can be risky, especially if the windshield requires replacement. 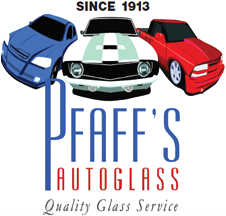 That is why Pfaff's Auto Glass Inc offers mobile auto glass repair in Winston-Salem, NC, and the surrounding areas, as well as other mobile services. No matter where your vehicle is parked, our fully certified technicians are happy to come to your location so you don't have to travel in an unsafe vehicle. Since opening for business more than 100 years ago, our company has aimed to meet the needs of drivers throughout the state. We currently mobile auto glass repair and replacement to over 27 North Carolina counties, with a focus on the cities of Greensboro, Oak Ridge, Winston-Salem, Summerfield, Mebane, and Burlington. Find out if you are within our broad service area by reaching out to our team. Our staff will be happy to schedule an appointment for you at your nearest convenience. When you make a mobile glass replacement or repair appointment with us, you can rest assured that we won't waste your time. We offer flexible scheduling and aim for total punctuality. Our mobile windshield repair technicians arrive at your location with all the equipment needed to complete your job on-site. Thanks to our extensive training and hands-on experience, we take care of your repair or replacement issue efficiently. You can count on us to get you back on the road in no time. Repair small chip and cracks before they become larger issues. With our mobile windshield repair services, we make keeping your auto glass in top condition convenient and easy. Most rock chips and thin cracks can be repaired by our fully certified technicians in about half an hour. Browse our site or contact us to learn more about our repair services for auto glass. Keep yourself and your loved ones safe by contacting our mobile windshield replacement team when your glass is damaged beyond repair. Windshields are vital to your vehicle's safety, since the support the roof during rollovers and prevent passenger ejection. Our professional installation work ensures your new windshield meets or exceeds factory specifications so you are as protected as possible should a collision occur. For more information on our glass replacement services for cars, trucks, vans, and other vehicles, explore our site or reach out to our technicians. Contact our technicians for mobile auto glass repair and replacement services on-site at your location. Our company is proud to serve Winston-Salem, Greensboro, Oak Ridge, Summerfield, Mebane, and Burlington, North Carolina, as well as the surrounding areas.